PTI is a US based producer of sheet extruders and extrusion systems. Product lines include the G-Series, HVTSE, Trident, Revolution, and Titan. 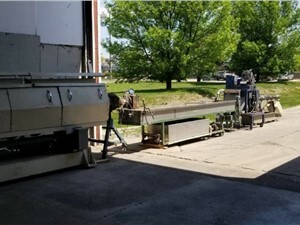 Sold all over the world from their Chicago-area facility, they offer standard machines as well as custom designed equipment to customer specifications or through their own engineering department. PTI holds several patents on sheet extrusion equipment advances. Markets they serve include mono-extruded sheet, co-extruded sheet, foam sheet, compounding, fiber, pipe & profile and reclaim.